Many of the same health problems that affect us, including hearing loss, also affect our pets. Fortunately, most pets adapt very well to the disability with a little help from their owners. What Causes Hearing Loss in Pets? Some pets are born deaf or hard of hearing, while others develop hearing loss at some point in their lives. Hearing loss can be caused by exposure to heavy metals, such as mercury or lead, or may occur after your pet takes certain medications, including chemotherapy drugs, diuretics or antibiotics. Tumors in the ear canal or brain may be responsible for hearing loss or deafness. Other potential causes include untreated ear infections, hypothyroidism, distemper, injuries or exposure to toxic household products. Hearing loss may also occur as part of aging. Deterioration of the nerves used in hearing or thickening of the ear canal can gradually reduce your older pet's ability to hear. Are Some Pets More Likely Than Others to Experience Hearing Loss? Hearing loss is linked to genetics, in some cases. The problem is more likely to occur if the pet has white pigments in its fur. In fact, approximately 80 percent of white cats with two blue eyes will show signs of deafness as early as four days after birth, according to Cornell University College of Veterinary Medicine. The problem occurs due to degeneration in the cochlea in the inner ear. The cochlea turns vibrations into nerve impulses and sends them to the brain, which interprets the nerve impulses as sounds. 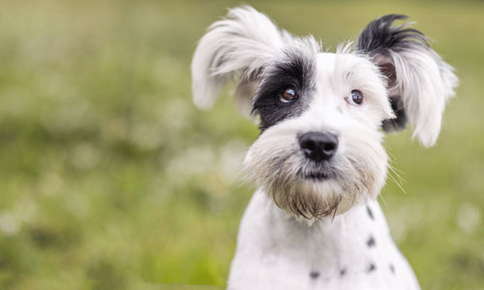 What Are the Signs of Hearing Loss in Pets? Your pet no longer comes when called or exhibits other changes in behavior. Your dog or cat doesn't react to loud noises. Your pet can suddenly sleep through anything, even loud thunderstorms. Your cat meows constantly, or your dog barks more than normal. Your pet tilts its head to one side. Your dog or cat doesn't show up the minute you open a can of pet food. How Can I Help My Pet? 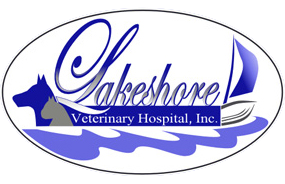 Take your pet to the veterinarian as soon as you notice any signs of deafness. Although treatment is not possible in all cases, if the hearing loss is caused by an inflammation, infection or tumor, medications or surgery may help restore some or all of your pet's hearing. If the hearing loss is permanent, it will take a little while for you and your pet to adjust to the new situation. Keep your furry friend safe by using a leash during walks. Getting your pet's attention can be a little difficult. Pointing a flashlight or laser near your dog or cat (but away from his or her eyes) can be helpful. Teaching your pet some basic hand signals such as come, stay and good job can help create new ways to communicate. In the past, your furry friend may have known that a slamming door meant that you had left the house. If your pet doesn't see you leave and can't find you, he or she may become upset. You can prevent confusion by starting a goodbye ritual that you'll use every time you leave the house. Are you worried that your pet may be suffering from hearing loss? Call us today to schedule an appointment.